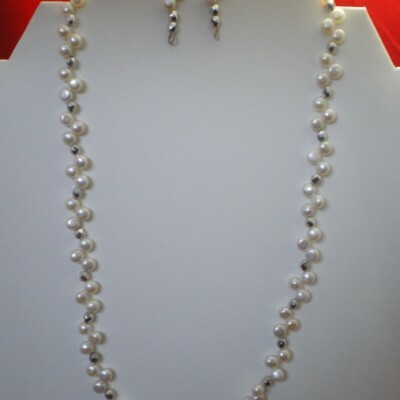 Bold bali sterling silver cones and toggle clasp. 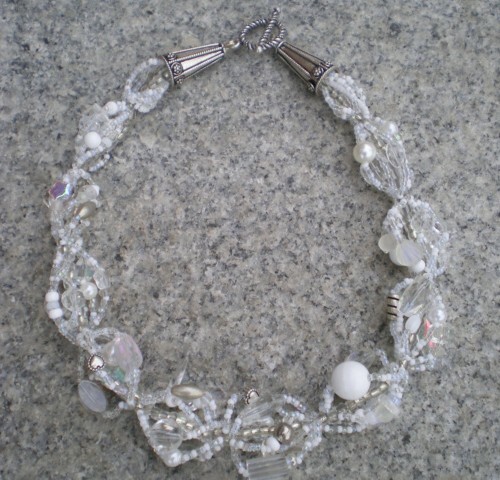 This would be quite spectacular and different on the bride. 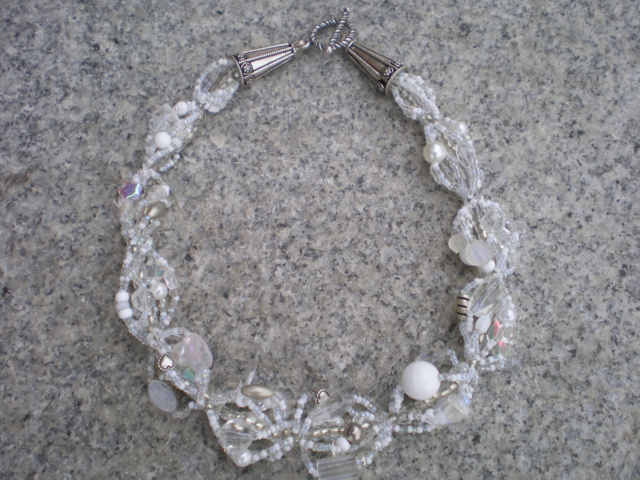 Be the first to review “16 3/4′ Multi strand necklace. 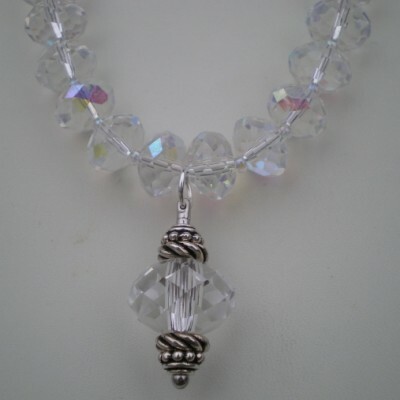 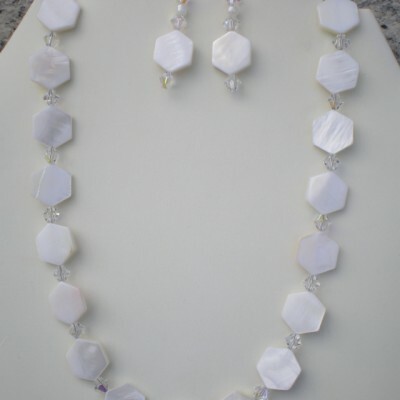 Multi shaped crystals+white beads with a few silver beads” Click here to cancel reply.